The below article of mine recently appeared in the Pennsylvania Law Weekly and is republished here with permission from the publisher ALM, Inc.
One important part of the litigation of personal injury matters involves a battle of the experts over the wage-loss claims presented by the injured party. Typically, the expert analysis of a plaintiff's wage-loss claims begins with the plaintiff securing and producing a vocational expert or economic expert report. The Pennsylvania Rules of Civil Procedure provide a mechanism for a defendant to secure a vocational assessment of the plaintiff's claims as well under Rule 4010.1, titled "Evaluation of Earning Capacity." Several wage-loss experts were interviewed for this article, including vocational expert William Walker of Walker & Associates in Fleetville, Pa., Sean Hanahue of Pennsylvania Advocates in Clarks Summit, Pa., and James W. Primm of Expert Vocational Services in Bridgeville, Pa. Economics expert Chad Staller of the Center for Forensic Economic Studies in Philadelphia was also consulted. All of the wage-loss experts interviewed noted that with a vocational and economic loss assessment, a review of the injured party's earnings history record is of paramount importance. All of the experts recommended securing documentation that would confirm the injured party's earnings history for at least the past 10 to 15 years. Obviously, any documentation substantiating earnings after the event should also be secured and provided to the expert to analyze. Hanahue said this documentation could include tax returns, W-2 statements and Schedule C forms for those who are self-employed. According to Hanahue, these more specific tax documents may spell out an individual's earnings in situations where that individual files a joint tax return with a spouse. Primm recommended securing this type of documentation for at least several years before and after an accident. Walker also advocated attempting to secure the individual's Social Security earnings statement printout to provide a nice overview of a person's earnings history. The experts all emphasized that employer's records are important, especially the file of the injured party's employer at the time of the injury. The vocational experts interviewed additionally suggested securing the employment files for the plaintiff's employers within the 10 years leading up to the injury and any subsequent employment record. Most wage-loss experts will also require a review of the deposition transcript of the injured party, and may additionally find it helpful to also read the deposition of the plaintiff's spouse. In terms of medical records, Walker emphasized the importance of select documents, such as the treating physician's office notations. Also, operative reports, narrative reports and independent medical examination reports are all pertinent to the analysis. Hospital records are important but can be limited to the admission record and discharge summary. Other medical records that may prove important in the analysis include any functional (or physical) capacities evaluation forms. Such forms may outline an injured party's functional capacity to work, including any limitations or restrictions placed upon the party in terms of sitting, standing, walking, bending, squatting, driving and the like. Primm said that in addition to the medical documentation, he also seeks out work release forms in the medical records to determine if such information is consistent with the party's return to work after an accident. Walker also recommended that parties be on the lookout for other pertinent records, such as Social Security Administration records or any records pertaining to the receipt of short- or long-term disability benefits. Primm and Hanahue emphasized that a vocational expert can never have enough documentation. They said that the best attorneys they work with send them all discoverable information contained in the file. Not only does this expand the scope of the expert's testimony as supported by documentation, but the provision of more information to the expert may eradicate any cross-examination based upon the expert having insufficient information for the analysis. In terms of records to be reviewed by an economic expert, Staller said that in addition to the vocational experts' reports, economists typically request the pleadings to be sure as to the types of economic damages that have been pleaded and are at issue. Economists also benefit from a review of any and all tax information that may be secured. Another document economists like to review that is often overlooked in injury matters is the plaintiff's employment file. The employment file often provides a cornucopia of information, from personal historical wage growth, attendance and propensity to work overtime hours to actual fringe benefits received. The economist should also be provided all relevant medical reports (independent medical evaluations, vocational reports, functional capacity evaluations). Economic damages do not occur in a vacuum. The assumptions made by the economist must be tied to the facts in the case, which may include pre-existing medical conditions and prior drug or alcohol abuse that may impact work or life expectancy. All of the experts interviewed noted that it is obviously helpful when appropriate questions are directed to the injured party at the deposition regarding their work history and tax information. Both Primm and Walker noted that, all too often, counsel only ask generalized questions on the wage-loss claims before quickly moving on to other topics at depositions. Often, there are gaps in the party's employment history that are not fully explored during the deposition. Where a wage-loss claim is anticipated, the experts recommend direct and pointed questions exploring in detail where the plaintiff worked, the name of the employers, the injured party's job titles, the duration of each employment (from this date to that date), the rates and manner of pay, and annual earnings. Hanahue also recommended that a plaintiff's tax records be reviewed prior to the deposition in order to discover areas that may need to be clarified at the deposition. Hanahue also noted that if there has been an interruption in workforce participation, deposition questions as to whether this work interruption is health-related, related to an inability to find work or a lack of job availability may be helpful in the analysis. Where a loss of future earnings is claimed, or a claim is made that a plaintiff may have to retire early as a result of the subject accident, it may also be advisable to explore the plaintiff's family medical history to determine if there is any history of morbid conditions that may otherwise serve to shorten the injured party's anticipated lifespan. Staller, the economist, also recommended a review of any fringe benefits a party may be entitled to in his or her employment. Another topic typically overlooked at depositions from the economist's analysis is an exploration of the extent of the injured party's provision of household services at home. Whether on the plaintiffs side or the defense side, after a review of the records provided, including the transcript of the plaintiff's deposition, the vocational expert will typically conduct a vocational interview of the injured party as part of the analysis. The vocational experts interviewed generally noted that the vocational interview process usually lasts between 45 minutes and two hours, depending upon the complexity of the case and the thoroughness of the previously completed deposition of the injured party. Hanahue generally noted that regardless of whether the expert is retained by the plaintiff or the defense, areas covered in a vocational interview typically include a person's work history, educational history, daily living skills and feedback regarding how the accident under review has impacted the inured party's ability to work. Questions requiring injured parties to describe how the injuries have affected them physically are generally allowed. This topic is usually followed by questions seeking an updated status on the plaintiff's current condition, treatment and medication regimen to determine if the subjective complaints of the plaintiff are being medically addressed. All of the experts interviewed were consistent in their tips for conducting the direct examination of a vocational or economic expert at trial. The experts recommended allowing the expert to control the testimony by asking the expert short, open-ended questions that follow the format of the expert's report. The direct examination should be utilized to emphasize important points and point out differences between your expert and the opposition's expert. Keep in mind that by the time the vocational or economic expert testifies, the jury usually has already heard much of the medical and wage information at least once. As such, this additional testimony on the topic should be as concise and to the point as possible. The objective foundation for the expert's opinion should be emphasized and explained to the jury or fact-finders in each case in as basic terms as possible. On cross-examination, the experts noted that you should not expect to get the opposing expert to change his or her opinion in favor of your client's position. It is instead recommended that counsel ask pointed questions to bring out useful information for closing argument. The experts interviewed noted that, at times, they discover on cross-examination that the retaining attorney has not provided them with all of the pertinent information to include in the opinion, which can prove uncomfortable on the witness stand. Attorneys should therefore look for gaps in the information provided to the opposing expert. The experts interviewed additionally noted that engaging in badgering arguments with the witness typically does not play out well in front of the jury and often results in a loss of the focus of the cross-examination. The utilization of a vocational expert or an economic expert for trial can drastically alter the value of a particular claim. Application of the above tips from such experts may serve to assist the litigating attorneys in realizing the full potential of retaining such an expert. Daniel E. Cummins is a partner and civil litigator with the Scranton law firm of Foley Comerford & Cummins. 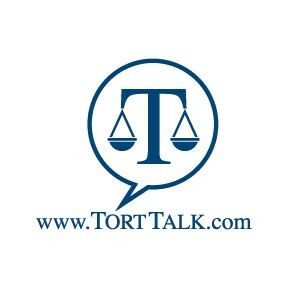 His civil litigation blog, Tort Talk, may be viewed at www.torttalk.com.